The Internet has made reaching your market easier and more affordable than ever. Unfortunately, it also creates distance and uncertainty with potential clients and customers. They don’t know you and therefore, don’t trust you. But there is a way to build rapport and gain trust. It’s through a free offer. Have you ever notice, that almost any ice cream shop to go into will give you a free taste of their ice cream? Not many people walk out without buying ice cream. Free samples give clients and customers a taste of what you got, thereby increasing the chances they’ll buy from you. Nearly every business can lend itself to the free offer somehow. Here are 5 tips to creating and getting people to take advantage of your free offer. 1) What does your market want or need? The free offer is designed to help prospects learn about you and how you can help them. As a result, you should give them something that will benefit them. When creating your free offer, consider fears and frustrations your market experiences. What are they curious about? What solutions are they looking for? For example, if you have a pet sitting business, you can offer “Prepare Your Pet for Your Vacation” tip sheet. If you have a direct sales business related to health and wellness, you can offer healthy living tips. Over at WorkAtHomeSuccess.com, I offer a report how and where to find work-at-home jobs. 2) Determine the best way to deliver your free offer. The fastest and easiest way to create and deliver a free offer is through a written report; however, that’s not your only option. Many coaches offer a free 30-minute consultation. Other options include a video tutorial, checklists and diagnostic tools. 3) Create your content. Whatever you choose to create, make sure you offer a tangible solution. Your free offer isn’t a teaser. 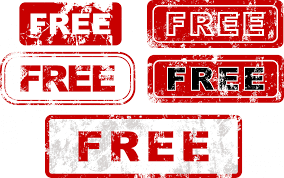 People don’t like to be sold and they don’t want a freebie that is simply an advertorial. That doesn’t mean you need to give all your expertise away. It does mean people should be able to come away from your free offer with something they can really use. If it’s beneficial to them, they’ll be back to buy your complete package or service. A few tips to help get your prospects engaged in your offer include reviewing the problem, sharing the consequences of not fixing the problem, and your tips or solutions. For example, using my telecommuting offer, I share how there are so many work-at-home scams (problem), and that without the right knowledge and resources people will lost money and won’t get a work-at-home job (consequences), but here’s to how to find and get hired to legitimate jobs (solution). Don’t be afraid to share your own story. And finally, end with a call to action which can be a link to buy the full product, arrange for services or simply to send them back your website for more information. 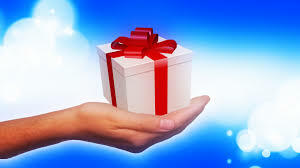 4) Get the free offer out in the world. While you’re giving your information away at no cost, that doesn’t mean you can’t ask for something from prospects in return. The free offer can not only showcase your expertise, but also it is a great way to build an email list. There are many ways to set up your free offer through an email subscription. One is to create a squeeze page on which you provide compelling information about your free offer and an opt-in email sign up form. If you already have a website, you can add the free offer and sign-up form to it. For example, if you have a blog, you can put it in the sidebar. 5) Follow up on the free offer. One of the great benefits to email lists is the ability to automatically send follow-up emails to people who request the free offer. These emails should continue to build rapport, show off your expertise and direct them back to your main offer. Other ways to follow up include phone calls and notes.